Football rumours: Rooney offered China move, Aston Villa’s Grealish in party storm, Chelsea looking for next Jamie Vardy in Ilkeston youngster? In today’s football rumours, The Sun are reporting that Wayne Rooney has been offered the chance to end his career with a lucrative move to the Chinese Super League. Cristiano Ronaldo never seems to leave the headlines, and today he’s said to be more likely to move to Paris St Germain than Manchester United. Canal+ say he’s not Old Trafford bound, while the Daily Telegraph has him linked with a move to France. The Daily Mail has run a story on another Jack Grealish controversy - with a video apparently showing the Aston Villa youngster out partying hours after a 4-0 beating by Everton. 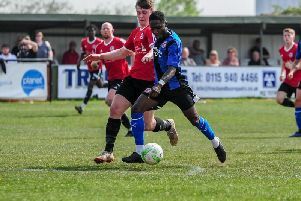 And Chelsea could be trying to unearth the next Jamie Vardy, by giving Ilkeston youngster Lewis Walker a week long trial, as reported by various sources. The son of former England star Des made his debut for the non-league side this season and has featured in their FA Youth Cup success. In-form Leicester hot shot Vardy also began his career with a Northern Premier League club, before a stellar rise through the Football League.